1912- John Stanovich and Edith DuFour Stanovich establish the Central Electric Company at the Central Hotel on Main Street in Watsonville selling fixtures, appliances, and installing electrical wiring. John and Edith started with a bicycle, $100.00 in cash and a 5 foot ladder. Until the Edison light became more accepted the demand for electrical work was very limited. The business grew with the addition of new products such as irons, washing machines and toasters. The latest method of wiring was the knob and tube with 30 amp glass fuses. 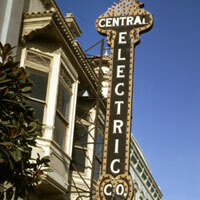 1916- Central Electric Company moves from the Central Hotel to the Pajaro Valley Bank building on Main Street. 1918- Alfred DuFour, son of Edith Stanovich, becomes an electrician. 1925- Central Electric Company moves from the Pajaro Valley Bank Building to 307 Main Street, remains for 62 years. 1926- Alfred DuFour joins the Central ElectricCompany. 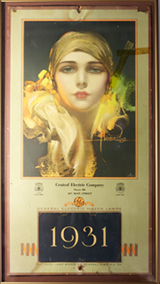 1927- The Net Profit of Central Electric was $136.37. 1938- Alfred DuFour assumes ownership of the Company. 1942- Due to the lack of availability of copper during World War II the Central Electric Company starts selling China and Crystal to supplement the Contracting business. 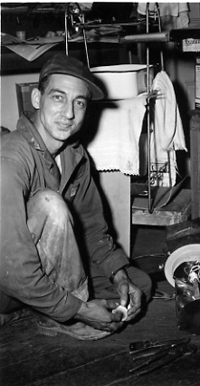 1958- Steve DuFour, Alfred’s son, joins the Central Electric Company. 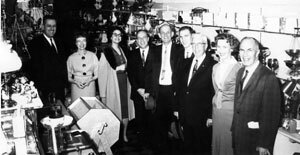 1961- Steve DuFour becomes a partner with Alfred DuFour in Central Electric Company, and Joan DuFour joins the business. 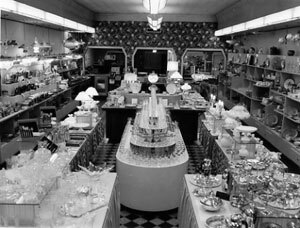 1968- Joan and Steve DuFour sell the China to Ford’s Department store concentrating solely on the Electrical Contracting Business. 1979- Tony Kulich, Son in Law of Steve & Joan, joins the Central Electric Company. 1987- Central Electric Company moves from 307 Main Street in Watsonville to 430 Walker Street. 1987- Central Electric Company celebrates its 75th Anniversary. 1989- Sharon Jurach, daughter of Steve & Joan, joins the Central Electric Company. 1991- Patty Kulich, daughter of Steve & Joan, joins the Central Electric Company. 1997- Central Electric Company completes its 1st $1,000,000 project for Harmony Foods. 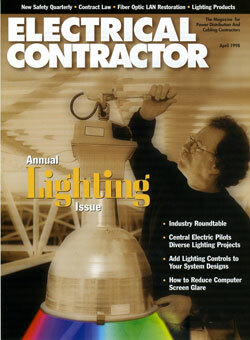 1998- Central Electric Company is published as the “cover story” in the National Electrical Contractor Magazine. 1999- Tony & Patty Kulich and Mark & Sharon Jurach purchase the Central Electric Company from Steve and Joan DuFour. 2009- Central Electric Company completes its 1st $3,500,000 project at Monterey Peninsula College.